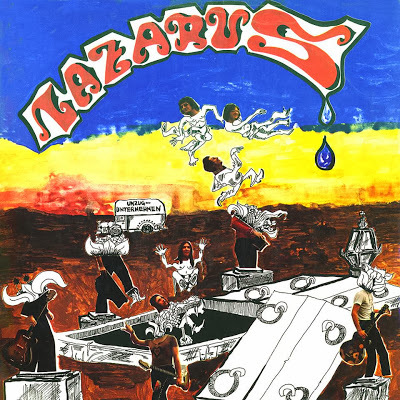 Lazarus was founded by Peter Glatzl at the end of 1970. 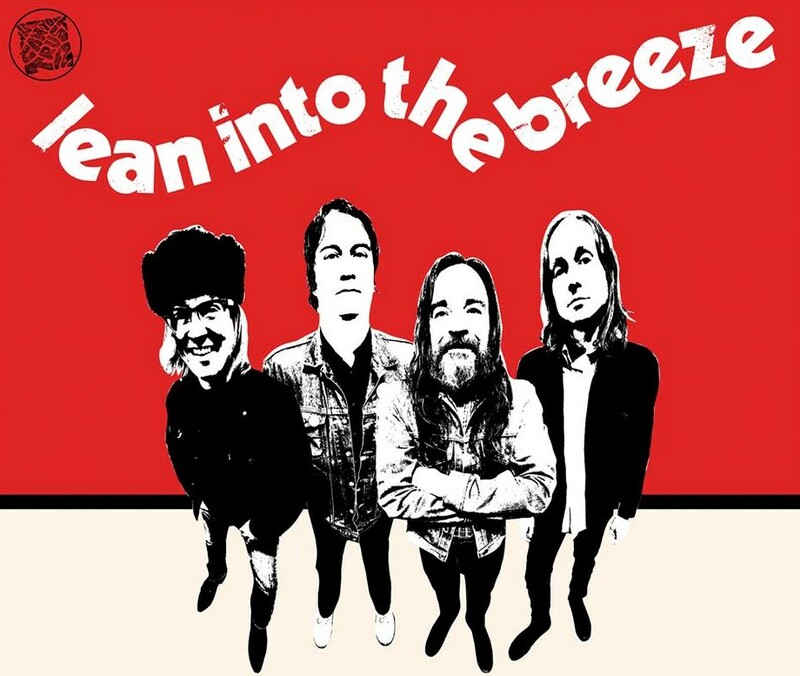 They played for about three years around their home country – Austria, before they recorded this LP. 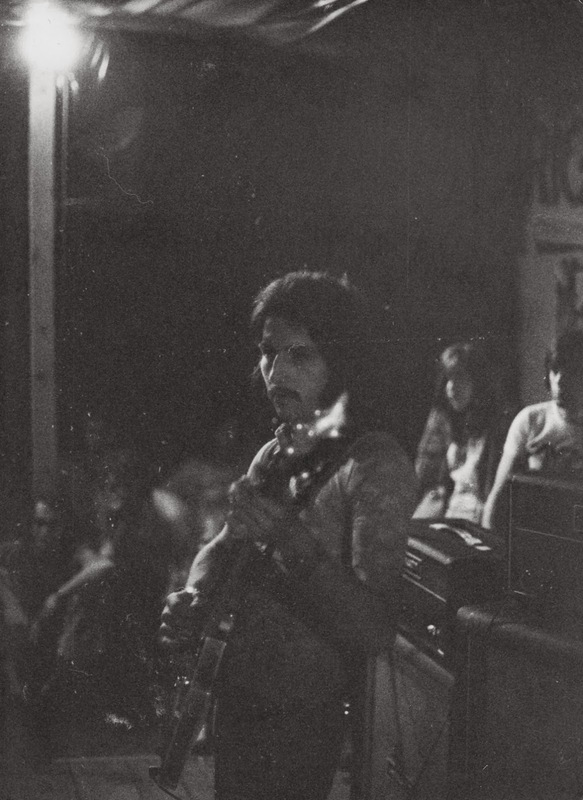 Legendary collector Hans Pokora found an LP awhile back and got in contact with band members. 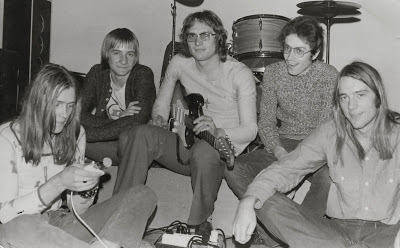 Later Thomas Hartlage of Shadoks Music offered them a reissue deal and here we are with the album, that was originally abandoned by the label, leaving only 15 demo copies. Album was recorded in Vienna in 1973 in professional studio by Rex Records. 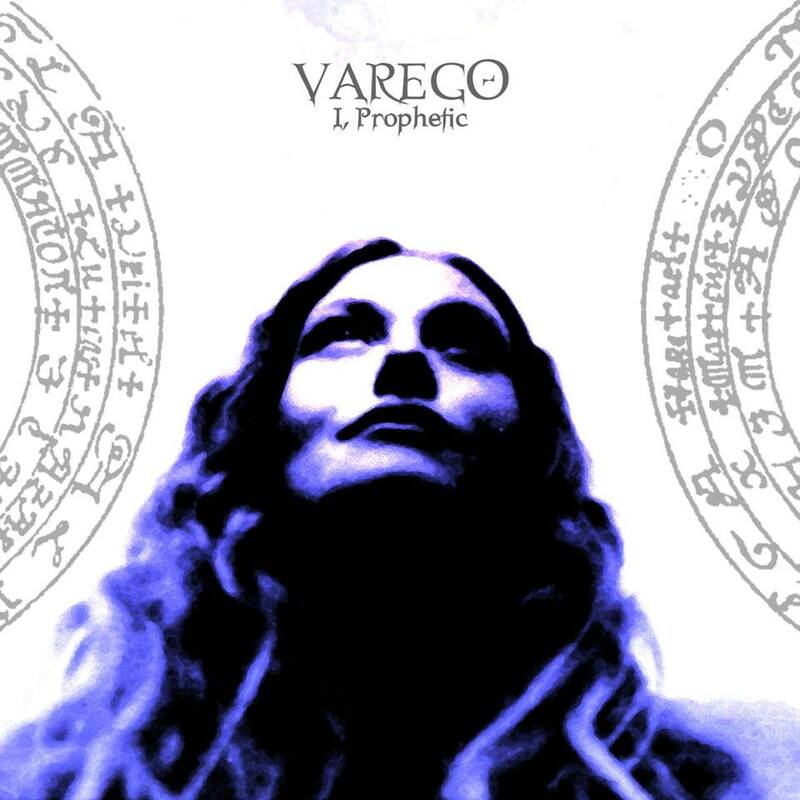 As we know Rex Records were only about German folk music and Schlager and when this guys recorded a conceptual horror album about biblical character Lazarus they abandoned the release. 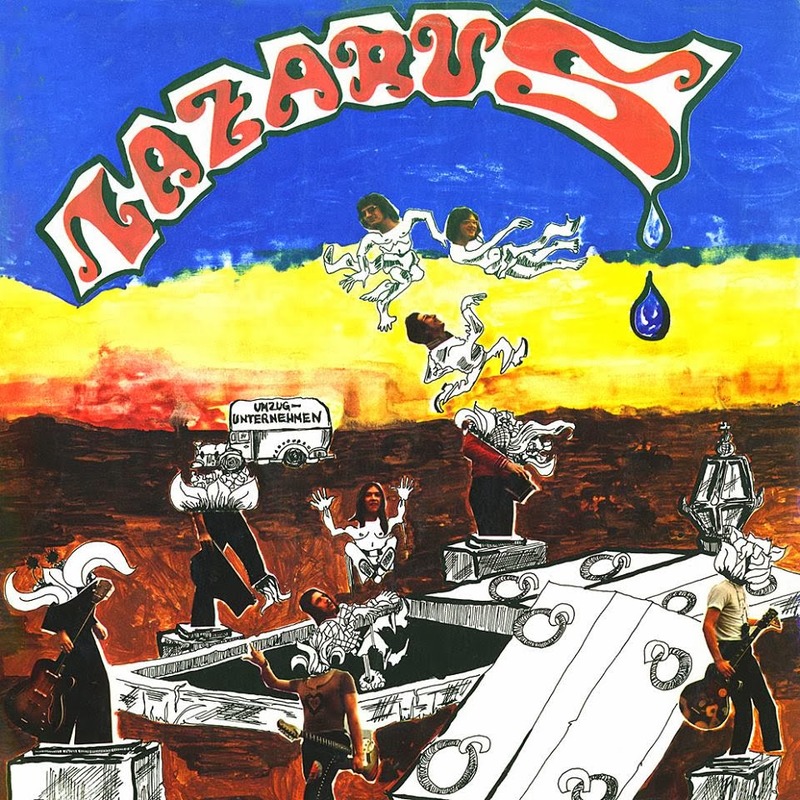 For a very long time Lazarus was a myth in the collector circles, but as mentioned our dear friend Hans Pokora found them. You’ll be surprised how good arranged and professional this guys were. I’m positive to say, that this is one of the better discoveries of the last year. I wonder how many records like this is still out there, buried six feet under?! 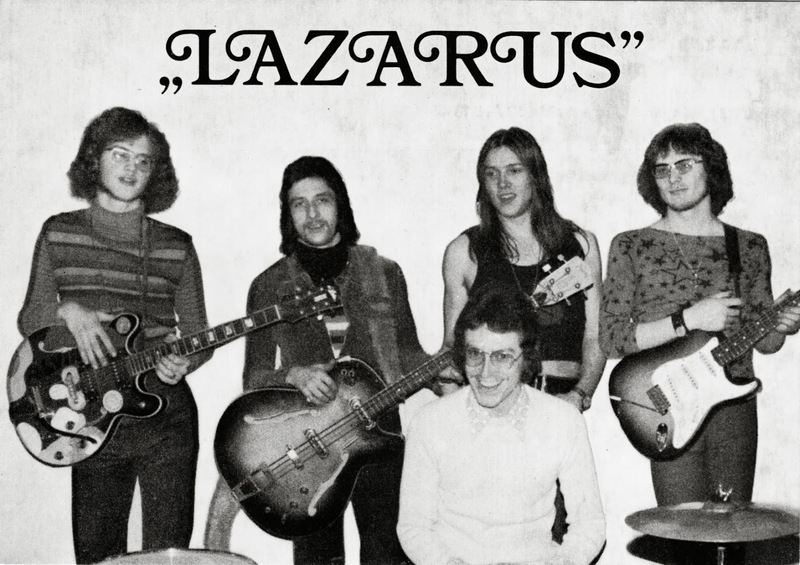 Lazarus was founded at the end of 1970 in Neunkirchen, Austria. 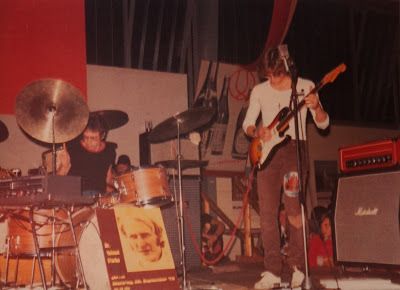 Shortly after Chromosom, a band in which Lazarus drummer Walter Spacil and I played at the time, split, I began to look around for a couple of musicians in order to form a new band. Despite my father’s advice, not to continue working as a musician, I felt ready for a resurrection like New Testament Lazarus. So the name of the new band was no longer a question. Were you in any other bands before forming Lazarus? 1965 I joined The Tornados, a well known adult dance combo at the age of fifteen and a half. I changed to Wild Angels, a typical beat band, in 1966. The first band I formed myself 1967 was The Beacons, a band of the late beat era. 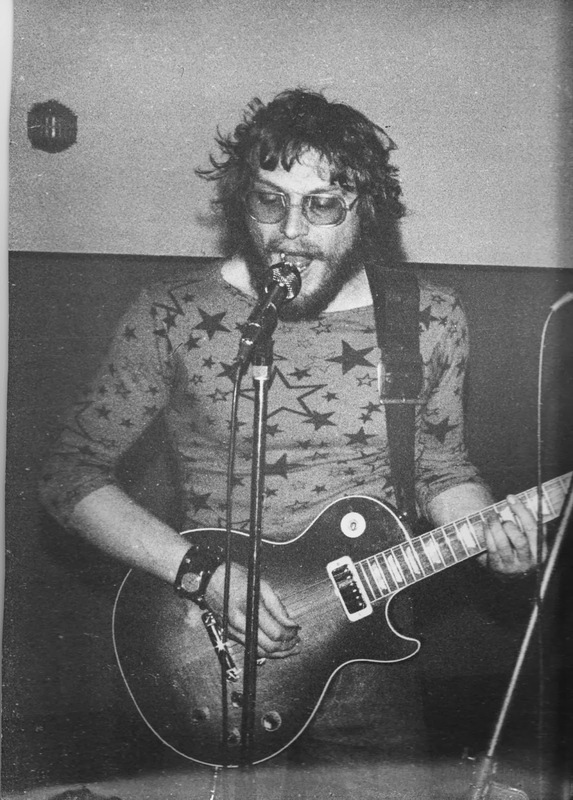 1968 I “played” on a rifle instead of a guitar for about nine months as I got drafted to the Austrian army. After this I was a member of Chromosom 1969, a band reflecting the early psychedelic era. Who was in original line-up? In fact there was no original line-up. The band’s musical development towards progressive rock caused a number of line-up changes such as violin player, keyboard player and so on… Finally in autumn 1972 the members of the group were: Myself (guitar, vocals), Walter Spacil (drums), Helmut Sacher (lead vocals) and Peter Fischer (bass). Where all did you play before recording an LP and what was in your repertoire? With who did you share stage? Usually we played in clubs, smaller halls, even in honky-tonks. We played “progressive rock”, for example Deep Purple, Mountain, Wishbone Ash, Nazareth, and stuff like this. What was the scene in Austria? It wasn’t easy for rock bands in Austria to get gigs. The upcoming “Austro-Pop” (Wolfgang Ambros, Turning Point, Acid), a mainstream commercial music-style, didn’t make it easier. Willie Giefing, a music journalist, phoned you at the end of January 1973 and asked you if you would be interested in recording an album. REX Records from Germany was setting up a division in Austria to produce Austrian bands and so the story of making LP began. You additionally add a guitarist, why is that? Very quickly we became aware that we would need a second guitarist for this project. He was quickly found. 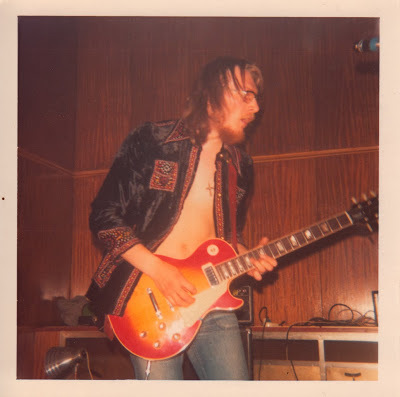 Erhard “Alvin” Waldner was interested and currently free (he was called “Alvin” because he could play the beginning of “I’m Going Home” by Ten Years After as fast as Alvin Lee). Though we had no studio-experience at all we felt, that we should do recording without wasting time (only two days to go!) with one-guitar-experiments. So Alvin and I could perfectly focus on one’s particular part of guitar playing. How much time did you have to prepare material for the album? You didn’t want to record any cover songs and decided to record a conceptual album. I accepted the offer without hesitation. A studio was booked for the 28th of February and 1st of March, which meant we had only 4 weeks to prepare. Though it was actually almost impossible, I was then still somewhat naive and reckless. It seemed quite feasible to me that we could produce an LP in only 2 days. As ambitious young rockers we did not want to play cover versions of course, but rather our own compositions. But how to find them that fast? We had it in mind to prepare 9-10 songs. That was the guideline. According to the motto “there are no problems, only solutions”, we did manage it: I already had two compositions, ,”Summer distress” and “You”. My younger brother Ernst (15) contributed the song “Teichoskop”. Harald Music, former bass player of Lazarus, participated with “Faraway”, “(The Garden Of) Eden” and “Sweet Reflection”. We had three songwriters in our stable! 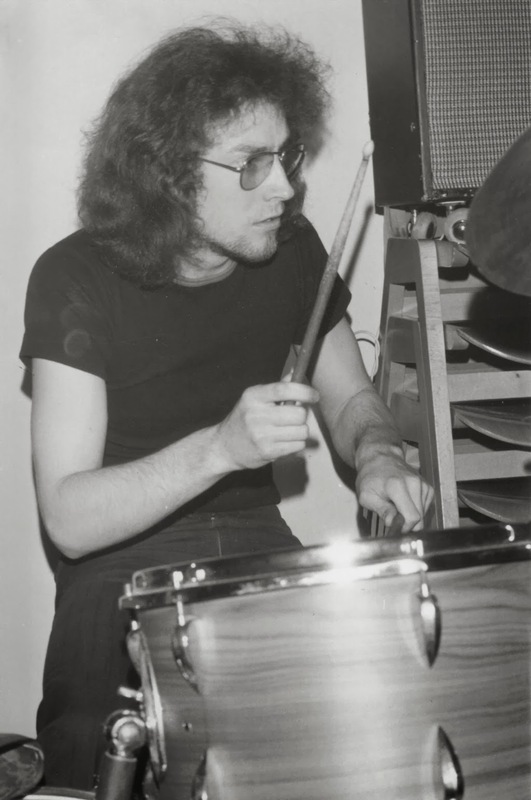 From a previously recorded rehearsal session with Helmut, Walter and me we filtered out the basis for the “Awakening of Lazarus” part one and part two. “Alvin” made his debut with “The Wind Cries Your Name”. The brief song “Dear Willie” was a musical thank you to our patron and promoter Willie Giefing that Alvin and I gave birth… That was it – or was it not? At this point, we came up with the idea of making it a concept album, to make a small “psychedelic rock opera” with the songs. It would be a kind of “horror story”, starting with the raising of Lazarus (the biblical character), who emerges as a monster from his grave. On his way through the world, he spreads terror and horror, but also sees a lot of beauty. Though he wants to be godlike in his megalomania, he recognizes the blasphemy in his activities, and repentant, returns to his grave. This meant that new lyrics had to be written on this subject to fit the theme, and song titles had to be changed partially. Helmut Sacher and I applied ourselves to this task. Since we were rehearsing 5-6 days per week, Helmut and I decided to finish the texts on two weekend-night retreats. What gear did you use in the studio and where was this studio held? 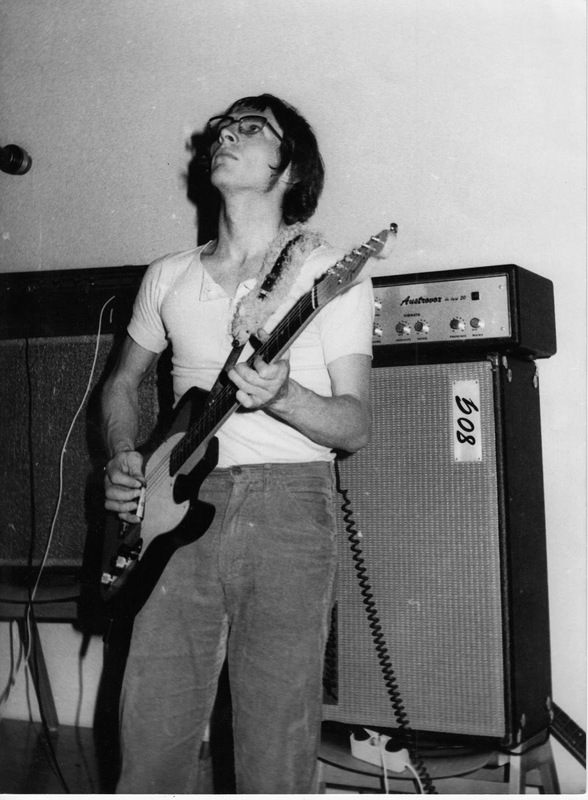 I had a sunburst „Pre-CBS“-Fender Stratocaster, a small Fender Reverb-Combo connected to a Selmer-Top with an Austrovox 80G Cabinet. Additionally I used a Schaller-Fuzz. 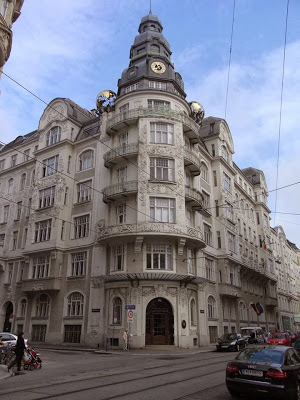 We recorded at Tonstudio Stanzl in Vienna. 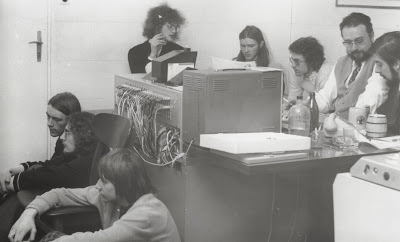 At this point I would like to say a few words about the available studio technology: The recording studio belonged to a film company specialized in advertising. And accordingly, the studio was Spartan. No multitrack machines, but only two stereo Revox tape recorders, naturally in the best quality. This meant that the basic tracks were recorded live in stereo. Only our drummer had headphone monitoring. 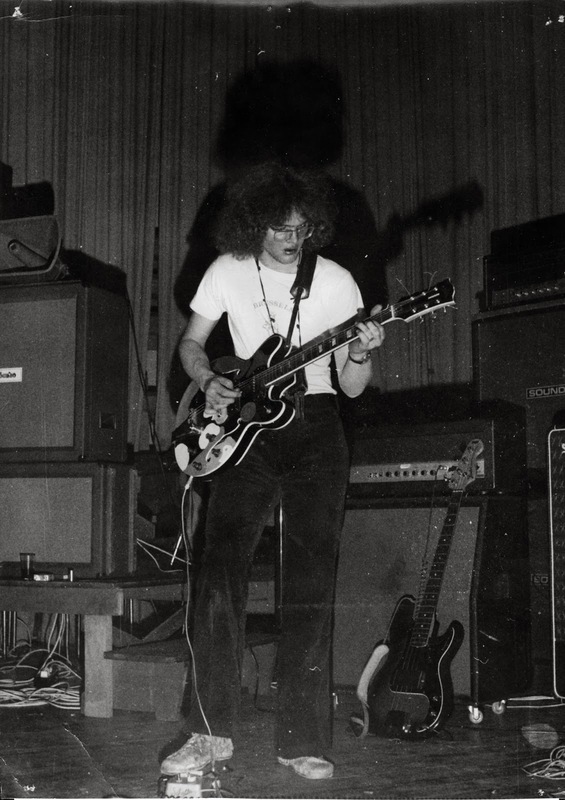 To do overdubs, the basic tracks were played while the vocals and guitar overdubs were done live and everything was mixed together onto the second Revox machine – and that was it. There was no way to make any corrections to the master… It was all done live! That was probably the best thing that could happen to us, because we were used to this process from our rehearsals and pushed ourselves to get our best performance which is hopefully audible and noticeable on the album. Without our great sound engineer Klaus Kovarik, under these conditions this product certainly would not have been possible. He oversaw everything, was our psychologist and sovereign in the studio, and allowed us enough time, never causing us any stress or insecurity. Thank you, Klaus Kovarik. What are some of the strongest memories from producing and recording your LP? There are two memories from the first recording day: We felt good and all the basic tracks were on tape after 2-3 takes that evening. There was one scary moment… After the recording of the first song our sound engineer told us that the recording had “died”. We thought, now it’s over, now we will be sent home! But no, in studio jargon, this means: “Thank you, everything’s OK, continue on to the next song”. In the afternoon, things came to a standstill. For the recording of “Faraway” we needed 16 takes, because I could not get my part down on tape just right. Embarrassing, just me! But being the “mastermind”, I felt handicapped because I could not concentrate just on myself. It was my job to make sure that all the parts were fitting together. 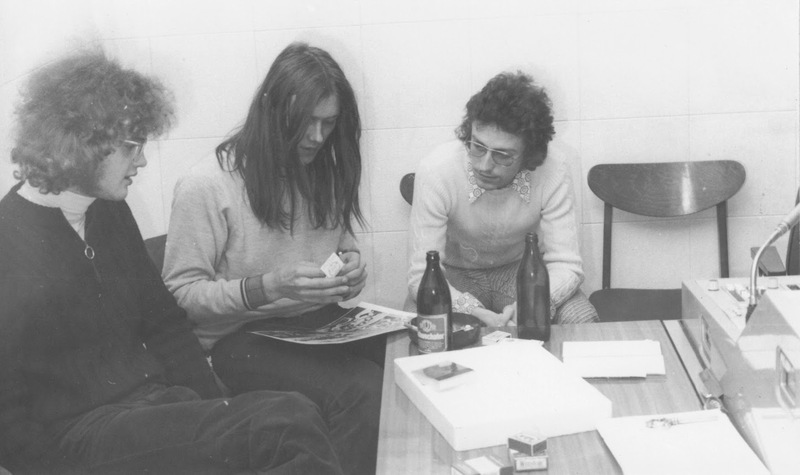 We took a short break when we discovered Helmut had brought a bottle of whisky with him. Sitting on the floor of the recording room, bawling Rolling Stones songs, we nearly finished the bottle. Then we were all loose and relaxed again, and we got “Sweet Reflection“ done on the first take which really got the sound engineer’s spirits up! How about your cover artwork? The cover artwork was made by Peter Hohenwill, an academic painter. 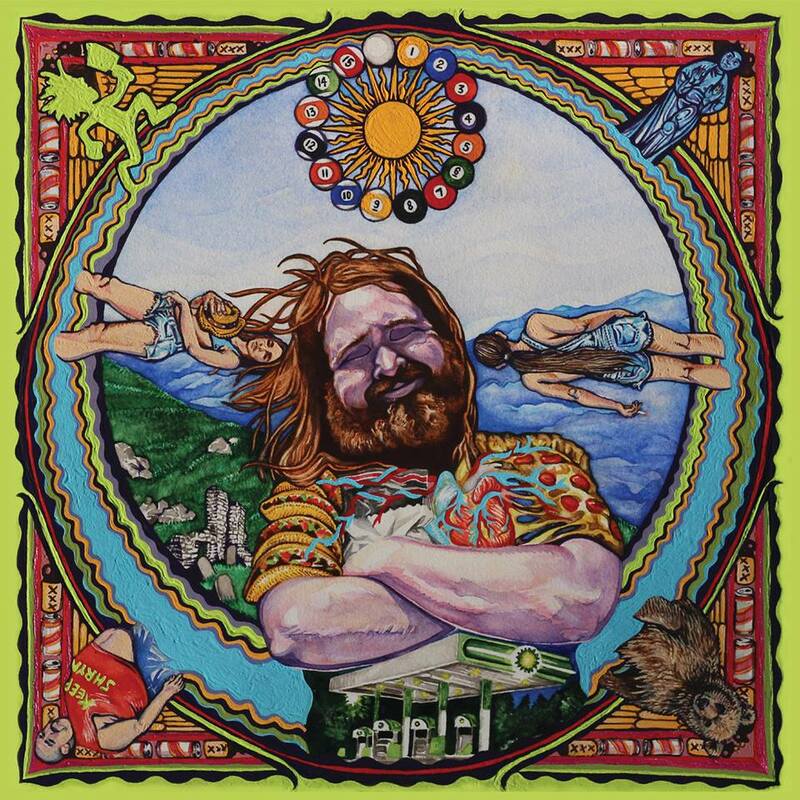 It isn’t a typical psychedelic cover at all, but it is an optical mirror of the tunes. It shows outside what you hear inside. What influenced you back in the days? To tell the truth, there were many different musical influences at the time. If I look at it from today I can’t deny that there are main influences such as Wishbone Ash, Black Sabbath or Frank Zappa on the other hand. In their work you can also find psychedelic elements. What happened next? Rex Records abandoned project to promote Austrian bands and there was only 15 sample pressings made. Five went to the band members and the rest are lost somewhere in attic. That’s really a shame. You must had been disappointed, but you were still active and played until 1976? Did any other opportunity to record came in the meantime? Of course we disappointed at the moment. It was very difficult at that time in Austria for a rock band from the province to get a chance to record an album. My hometown Neunkirchen is located only 70 kilometers away from Vienna, the capital of Austria, but musically speaking we were in the deepest backwoods. Although there was no further opportunity for recording, we didn’t back down. Awhile ago legendary psych collector Hans Pokora located you and from there it went to Shadoks office. The Lazarus LP finally saw the light (thanks to Thomas Hartlage of Shadoks Music) after so many years! How do you feel about that, Peter? On the one hand it’s crazy, on the other hand it makes me proud, because who would expect this to happen after forty years? 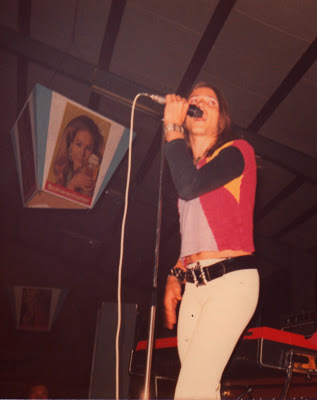 Our “Explorer” Hans Pokora has the opinion that the Lazarus LP was the best Austrian rock production at that time. At this point I’d like to thank Hans and Thomas for making the Lazarus resurrection happen. What occupies your life these days, Peter? Since I’ve retired from my business as a filmmaker and audio-visual expert in 2009 I more or less do the same thing on my own. 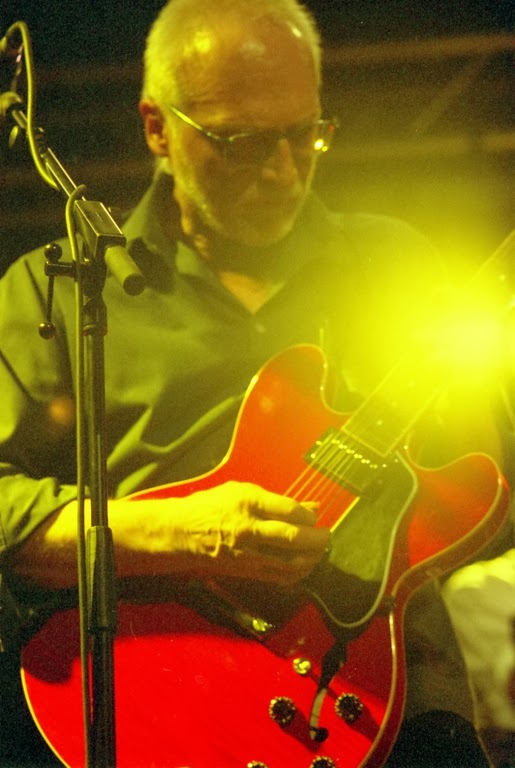 Certainly I am musically still active as I’m the head of a band named “The Roaring 60’s Band” (guess the music style! – www.roaringsixtiesband.at). 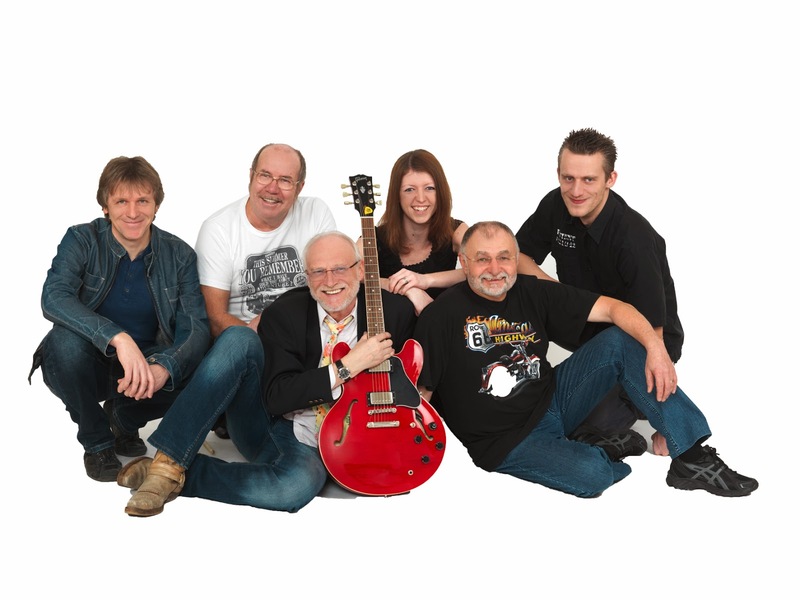 At the moment I am also busy producing an anniversary-CD with “Flimp”, a band I played with from 1976 to 1981 (www.flimp.at; www.facebook.com/flimpband). Thank you very much for taking your time. I thank you also for introducing Lazarus in your magazine! 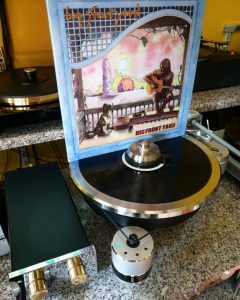 I’m pleased to tell you that the long-playing record has been released in Week 48 as numbered Limited Collector’s Edition by Shadoks Music. CD will follow in February 2014. Watch out for further notice! Dear readers and friends, buy, listen, enjoy and recommend us to your friends!!! Hallo Susi, freut mich, dass dir unsere Musik gefällt. Möglicherweise kommt ja noch was nach ... Aber das sind noch ungelegte Eier ... Herzliche Grüße an den Wolfgang. Bei uns weiß ja kein Mensch, wo er sich "rumtreibt". Aber es scheint ihm gut zu gehen. Auf jeden Fall alles Gute, Peter Glatzl.